Next lesson: What is Inventory? There are various other accounting reports that a bookkeeper or accountant can produce that allow for greater control over a business and its activities. Note that the reports below are intended for internal use and are not part of the financial statements. The debtor’s analysis indicates the value and age of each of the debts owed to your business. The debtor’s analysis should reveal who are one’s biggest or oldest debtors at a glance. Most businesses allow 30 days of credit for a debtor to pay. The "current" column would reflect accounts that are less than 30 days old (i.e. debts incurred within the current month). All other debts are past due and would need to be followed up. Debts of "60 days" or "90+ days" are seriously overdue. The debtor's analysis should be compared to the debtors control account (in the general ledger) and to the total of the individual debtor T-accounts in the debtors ledger. In the same way, a creditor’s analysis can quickly reveal to whom one’s oldest debts are owed. This should likewise be compared to the creditor’s control account (in the general ledger) and to the total of the creditor T-accounts in the creditors ledger. Creditors should generally be paid by age – i.e. pay the oldest ones first. An asset register is a list of every asset in the business as well as details regarding each of the assets. The asset numbers are unique codes or tags to identify each asset. The carrying amounts in this list can be compared to the balances of non-current asset accounts in the ledger. The values of these assets in the asset register (carrying amounts) should correspond with the balances of the T-accounts for these same assets. In other words, if the asset register, for example, shows three machines worth $30,000 each, then the "machinery" T-account in the general ledger should show a balance of $90,000. 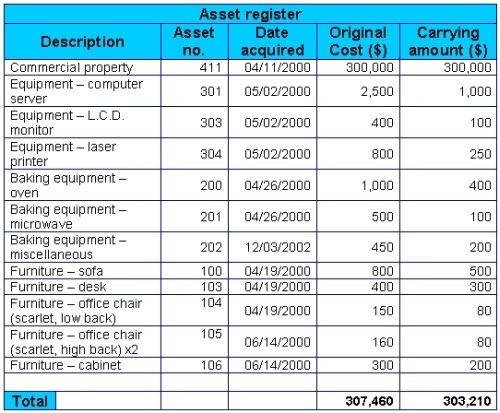 Other details can be included in the asset register, such as the location of each asset, the estimated remaining useful life of the asset (for example, you expect your computer to last another 3 years before needing to replace it), whether the asset is insured or not, and who the asset’s insurer is. Another list that should be regularly compiled is a stock-holding or inventory list, which is a list or listing of all the stock or inventory that your business holds (i.e. goods held for sale), including types of stock and their respective values. Like the asset register, the stock-holding or inventory list could also include an individual code for each inventory item, as well as any details the business may want to keep in its records such as the year, make, model or color of the inventory item. And like the asset register, the values of the assets in the stock-holding list should also be regularly compared to the total of the inventory T-account. 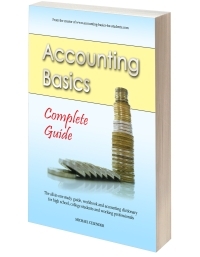 Actually, one can prepare various accounting lists, even a list of cash/bank types (such as different bank account balances, petty cash, etc.). The bank T-account could then be regularly reconciled to this list of accounts at the bank. The reports above can thus provide some useful information about a business. In addition, regular comparison of these reports to your ledger accounts allows one to quickly recognize and rectify any errors, omissions and problems.